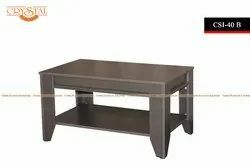 Pioneers in the industry, we offer computer tables, decorative center table, center table ( cnt-1), crystal furnitech - tv entertainment unit, shoe rack with sitting and sitting shoe rack with cushion from India. 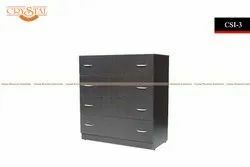 The spacious computer table from Crystal Furniture Industries is perfect with a storage for your frequently needed stuff while keep it safe near your bed. 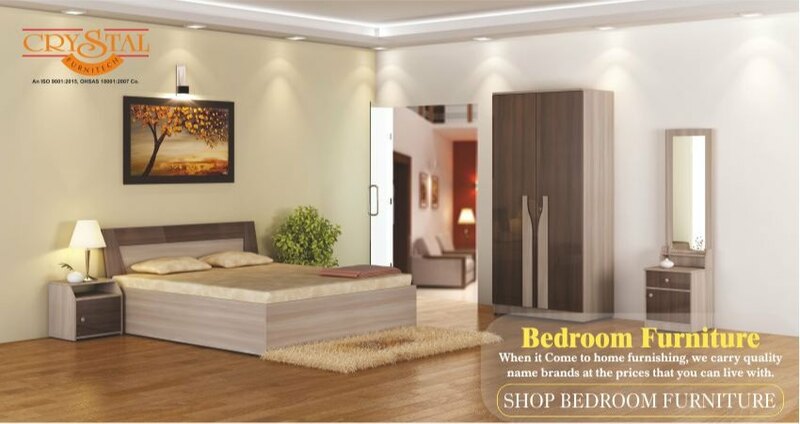 Its colour suits most decors and the paneled surface adds more appeal. 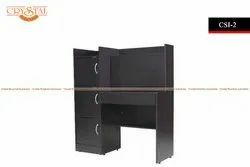 From our wide range of modern Furniture, we are affianced in offering to our patrons an optimum class variety of Designer Center Table. 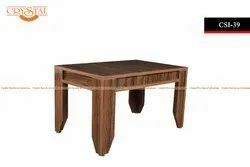 Quality Centre Table ( CNT-1) in Sandy Sawline and Choclate Sawline Color from Crystal Furniture Industries. 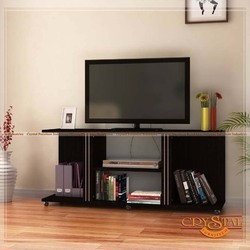 Give your LED TV a better space with this #LEDTVCabinet Design and Enhance the look of your living room with TV Cabinet by #CrystalFurnitech. 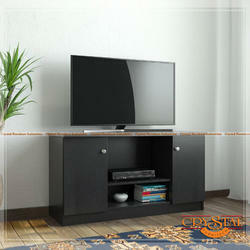 Give your LED TV a better space with this #LEDTVCabinet Design and Enhance the look of your living room with TV Cabinet. 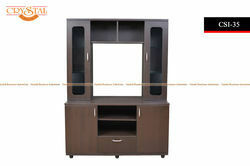 It gives you options to safely place for your LED TV, DVD players, CDs and other related items. 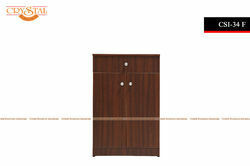 Buy Shoe Rack with Steel in Wenge Finish by Crystal Furnitech. 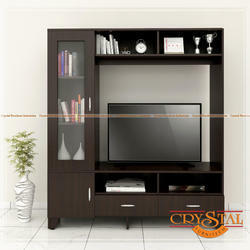 Treasure some TV watching with this corner cupboard designed by Crystal Furniture Industries in soothing colours. 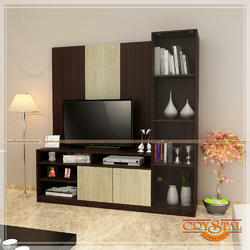 This decorates your living room area with its top level attraction. 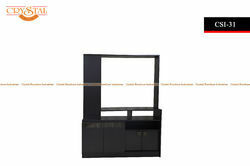 Give your LED TV a better space with this #LEDTVCabinet Design and Enhance the look of your living room with TV Cabinet . 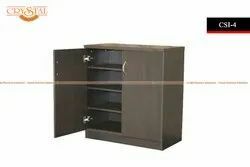 It gives you options to safely place for your LED TV, DVD players, CDs and other related items. Due to our years of expertise in this realm, Crystal Furniture Industries is readily affianced in presenting an exceptional quality variety of Crockery Glass Shelf. 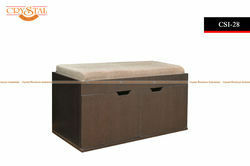 Use it as a storage unit or a serving trolley, the contemporary style will be functional in both roles. Wooden panel on the top shelf makes it easy to place delicate crockery or glass bottles. 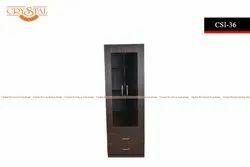 Having a definite quality management system, Crystal Furniture Industries is immersed in bringing forth a top class consignment of Shoe Rack Sitting Bench. 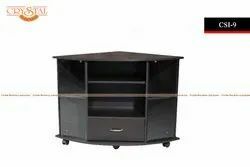 This shoes rack from gives you more than adequate storage space in the form of open racks at the end while the top enhances up as a regular with a support where you can sit and take on your favorite shoes without splitting into a sweating. Study table with shelf. 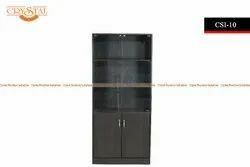 Fostered with enormous business understanding of this realm, we are involved in presenting wide range of Shoe Rack Shutter. Practical and stylish shoes holder contributes expediency. 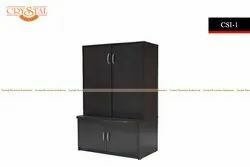 Its three apt racks offer the best possible space for your various shoes collection and keep your house well structured. 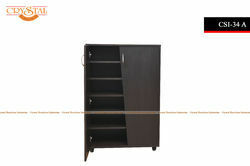 Enhance the tone of your study, living room area or bedroom with this soothing coloured Book Rack. The modern design of this bookshelf is quite appealing. 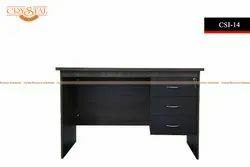 Carry out your flows or research perfectly with this study desk. 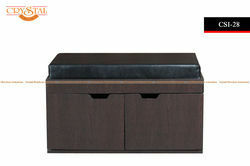 The modern structure of this desk is quite appealing and the 3 drawers make it a perfect for storage as well. As this product made and compacted with saw dust. 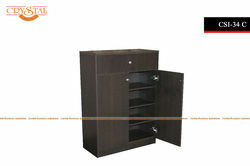 Buy Shoe Rack with Steel Handle in Wenge Finish by Crystal Furnitech.